Could one of the most famous moments in comic book history actually be a lazy plot device that saved Jim Starlin the trouble from having to write a bunch of Marvel heroes into his story? 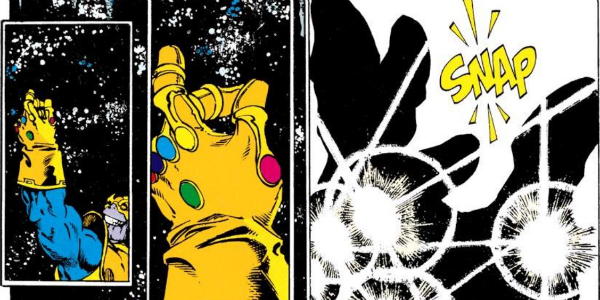 In the opening chapter of The Infinity Gauntlet, Thanos, in a bid to impress his mistress Death, proves the infinite power of the gauntlet by wiping out half of the Marvel Universe with a snap of his fingers. 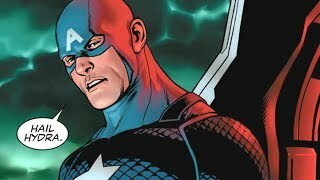 Among the missing and presumed dead are a number of iconic heroes including the entire Fantastic Four, Hawkeye, Beast, Black Panther, Wasp, Hercules and Daredevil. And none of them end up making an appearance in the miniseries outside of a passing mention towards the end when they are all brought back into existence. While this criticism may be powered by hindsight, Thanoss bold, universe-erasing move is cheapened by the fact that Starlin repeats similar beats in The Infinity Gauntlets two follow-ups, The Infinity War and The Infinity Crusade. In each of these series, a number of heroes are written out of the story early on thanks to some contrived plot device  whether it is evil doppelgangers, or a religious experience that makes them mindless zombies. While undoubtedly a famous moment, the finger snap is actually just an easy way to trim The Infinity Gauntlets cast so Starlin doesnt actually have to characterize everyone and find token moments for them.